Description: White background. In a rectangular middle section red festoon ornaments intersected by two Finnish flags and two Finnish Lions. 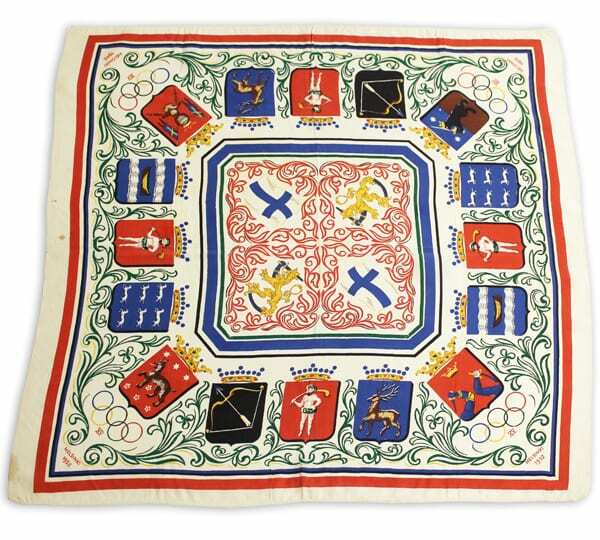 In the outer section the coats of arms of Finnish provinces, festoon ornaments and in the four corners the Olympic rings.